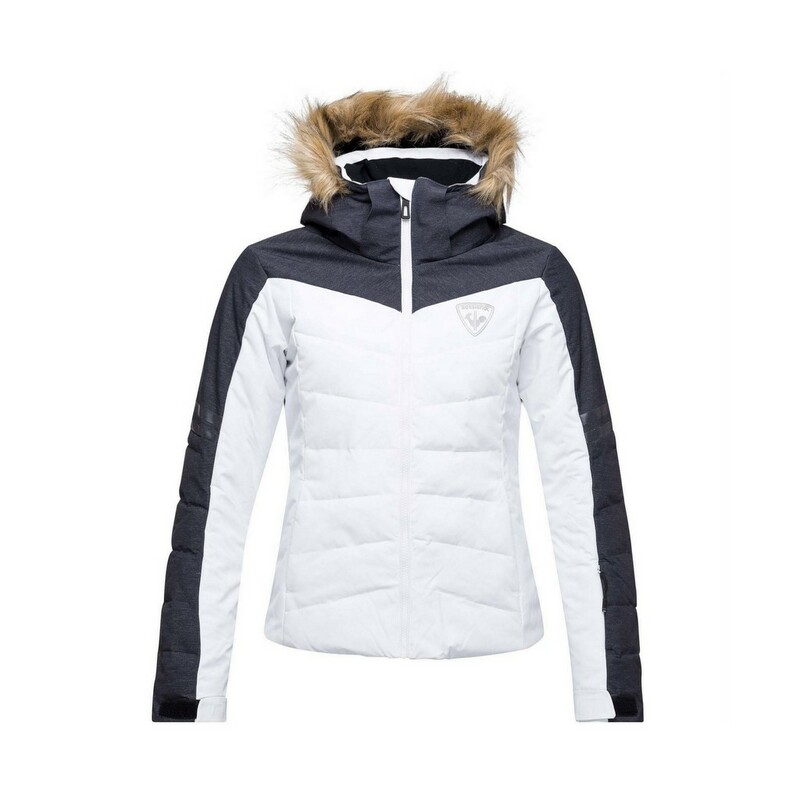 This women's Rossignol Rapide ski jacket is designed with the warmth to stay focused on the fall line in all conditions. The women's Rapide jacket features synthetic fill to trap heat and a waterproof-breathable build that sheds stormy weather to keep you dry. A built in powder skirt and integrated Lycra cuffs with thumbholes further seal out the cold. The removable hood features detachable faux fur trim to customise your look.